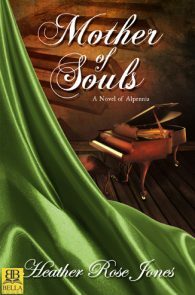 A Novel of Alpennia Book 1. Daughter of Mystery — Finalist, Lesbian Science Fiction/Fantasy. Heather Rose Jones is already known to readers of the Sword and Sorceress anthologies. What I enjoyed most was the gradual friendship, emotional connection, and at last, openly declared love that grew between experienced but vulnerable Barbara and unworldly but determined Margerit. The ability to come to terms with each other's greater (or lesser) power, even more than ability to fight the baron intent on their harm, is what makes Jones' heroines so utterly appealing, both as feminist role models and as romantic heroines. Reviewers Pick — Top Book of 2014! A slow dance of court intrigue mingled with scholarship and miracle working... Not every fantasy is a wild ride with sword fights, sorcerers and dragons. Daughter of Mystery is a different and very rewarding read indeed. It starts out so real that I first thought I had started a historical novel set in the 18th century in the Alpine region of Europe. And when Heather Rose Jones begins - nearly imperceptibly - to bend reality it took me a minute or two to realize that she now had led the reader into the realm of fantasy. Well done! Brava! In Daughter of Mystery Heather Rose Jones captures the essence of the sweeping epic often pervasive in speculative fictional works with the largess of language and intricacy of tale. A wonderful book of intrigue and romance... Arguments over succession to the throne, clearing Margerit's name, and finding the plotters behind the charges complete this well written first novel. 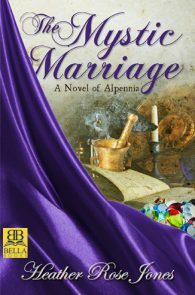 Jones has done a wonderful job in creating the world of Alpennia. The story was everything I was looking for... This was also one of the sweetest love stories I have read in a long time... When I began reading, I suspected that Jones would take us down the old trite road of an antagonistic relationship between the heiress Margerit and her initially reluctant bodyguard Barbara in order to heighten the sexual tension. But she didn't. She gave us something new - a genuine friendship built upon their shared interest in philosophy and theology. 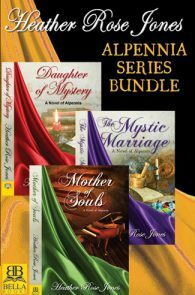 [Comparing Daughter of Mystery to Katherine Addison's The Goblin Emperor] ...If these are themes you like - court intrigue, questions of succession, genuinely nice and well-meaning heroes, and just a little bit of magic - then Daughter of Mystery achieves them all way better and much more satisfactorily. Ms. Jones' well built world is populated with a wonderful cast of believable characters. I am particularly impressed by her ability to keep my interest piqued, to build the tension, and to deftly reveal important information throughout the story. Where do I sign up for MORE OF THIS SORT OF THING..? This is a love story. It is also a coming-of-age. Politics enters in as well. Jones has a smooth turn of phrase and an excellent way with characterisation, although the pacing at times feels quite leisurely, and the fact that the main characters have academic, intellectual concerns rather delighted me. I really enjoyed this book. The romance was solid but the mystery and reveals and twists were my favourite part – and that’s saying something! Both main characters and supporting characters were fleshed out with flaws and personalities and motivations. Would recommend! If the baron were less rich or less powerful, he would have been called an Eccentric, but Alpennian society didn’t use that word of a man like the baron. As he was the only person sitting to dinner, and as it was neither one of his eccentricities to explain his plans to the lower servants nor to presume such exalted rank as to speak in the royal plural, the target of this remark appeared to be the motionless figure standing precisely one step behind and to the right of his chair. His auditor gratified him with a startled shift in stance. Another dinner guest—had there been another dinner guest—would have been able to place that figure’s position in the household with some certainty, up to a point. That the coat and breeches were in the archaic mode indicated a position in the household staff. That they were of costly fabric spoke of valued talents. That a narrow-bladed sword hung at the waist—even here at a simple homely dinner—gave the profession as armin, a formal bodyguard, indeed as a duelist. That the body wearing those clothes and that sword was slim and muscular argued a seriousness to the position that went beyond the longstanding fashion in Rotenek for armed shadows. And that this slim, muscular body was also curved was…unexpected. But that was one of the baron’s eccentricities. “As you wish,” she responded, in a tone that acknowledged that no reply had been needed. When his grumbling had died into silence, Barbara murmured, “May I speak?” in a tone slightly less formal than before. It had the light fluidity of a polite formula and she didn’t continue until a raised hand gestured his assent. Barbara watched in concern as he took a second bite of the capon then sighed and pushed the plate away. The nearest footman whisked it back to the kitchen, following the path previously traveled by the trout and the galantine de veau. “Nothing tastes right any more.” He sighed again. “What’s the point of hiring a cook all the way from Paris if everything I put in my mouth tastes like pap?” From the aroma as each cover was lifted, Barbara knew the dinner had been among Guillaumin’s best. He shifted in his seat to rise and a second footman appeared to draw back the chair—pausing just in time when he sat back heavily with a hand pressed to his chest. She dropped to one knee beside him as if felled by an ax. There were no murmured politenesses this time. He patted her gently on the shoulder, then gripped it firmly, using the action to mask how heavily he leaned on her as she helped him rise to his feet. “Your job is to protect me against the rest of the world, not against myself. That would be a task beyond even your skills.” He moved now with no sign of weakness. “Be ready in an hour,” he added from the doorway. An hour might have been just barely sufficient for the baron’s meticulous preparations. In a quarter of that time, Barbara had changed clothes and was cooling her heels in the library with a copy of Fortunatus’s De Mysteriis et Misteriis. But translating Fortunatus failed to distract her this time. The green satin. That meant tonight was just for show and she hated being used for show. In the city, even a friendly ball might lead to— Her mind shied away from the events of the last month. That was real. That was sure. But this…this was an incongruous mix of frivolity and intrigue, of curious stares and blind obliviousness. The only thing that could redeem such an evening was the certainty of her duty and the satisfaction of performing it. But tonight she would be no more than a mark of the baron’s status, no different from the crest on his coach door or the number of footmen that waited to usher him to it for the brief trip through darkening streets. There had been no chance to examine the venue in advance. The family of Margerit Sovitre, the baron’s goddaughter, was evidently of sufficient birth that the guest list was extensive but not of sufficient wealth that their own house could contain it. In Rotenek, it was the other way round: the oldest and wealthiest families hired the public salle for the entertainments their narrow mansions couldn’t contain while the new money, on the outskirts, had room for private ballrooms. But here in the country the titled kept expansive properties and those of lesser means hired public rooms in the civic hall. It occurred to her, seeing the rows of carriages lining the neighboring streets, that the most practical gift the baron might have given his goddaughter for her coming out would have been the loan of his house to host it. The ballroom would have been more than sufficient and currently it saw no greater use than her morning fencing practices. But no, this event would have been in train since long before the baron had abruptly moved his household from the city. And even simply housing the event would have been more strain than she’d wish on him at the moment. There was no trace of his earlier weakness now as they entered into the noise and bustle of the foyer on the heels of a family dressed in the height of provincial fashion. A tall man in an elegantly sober suit hurriedly broke away from the preceding party and approached. He didn’t aspire to the heights of fashion that she was accustomed to in Rotenek but he would have done well enough if his sweeping side-whiskers weren’t so badly swallowed by the high stiff collar of his shirt. It gave the impression of a tortoise. He had the look of a man accustomed to the respect and obedience of those around him, but he bowed to the baron in a manner that stopped just short of obsequious. The baron waved his hand dismissively, but not in her direction so she remained fixed in place behind him. “I do not please. Indulge an old man’s affectations,” he said. “I never go out in public without my duelist, even in such quiet places as this.” He made the word “quiet” convey the sense that little of any interest—either good or bad—could be expected to happen in a town like Chalanz. Barbara prayed that it would prove true. By habit and reflex she looked around as they were led to the small blue-upholstered room. A grand arching staircase led up to the main ballroom. She was grateful that the baron wouldn’t be asked to climb it. Music and laughter and the sounds of dancing drifted down from the upper rooms. The tall man disappeared as the baron settled himself carefully at one end of a damask-covered settee and Barbara took her post one step and to the side of the curving armrest. “Niece,” the host had said. She recalled the baron mentioning something about dead parents. And yet the girl’s presentation didn’t seem to lack for much. Still, no doubt there were cousins to be brought out as well. A brief splash, a push to accept the first decent offer and an uncle satisfied to have completed his duty and have her off his hands. She might have been stirred to sympathy, but they were like figures in one of the tapestries on the wall, living out their lives in sight but in no way touching her own. Aunt Honurat, during that afternoon’s instructions, had strongly emphasized the value of dissembling, so she smiled and nodded. Was there anyone here tonight who would believe that she’d never spent a single moment dreaming about her coming-out ball? Sister Petrunel would have understood. Her governess was the only person with whom she’d shared her closest secrets. The Sisters of Saint Orisul were among the few who thought that, for a girl, devotion to learning could be only slightly less important than devotion to God. She’d certainly learned the value of dissembling on that topic very young. The only time she could recall her uncle beating her was the year Sister Petrunel had first joined them and she’d excitedly proclaimed that when she grew up she and Petra were going to run away to the university in Rotenek together. No, she’d learned to keep those dreams secret. Laurint smiled encouragingly at her as their hands met in the next figure. The hall buzzed with conversation over the thin sound of the musicians. He’d said something she couldn’t hear, so she merely smiled back. One season, Uncle Mauriz had said. One season done right and properly. Two, only if absolutely necessary. He’d set it out for her as if it had been one of his business contracts. If she would undertake to do her part, he would see that she wore the right clothes and went to the right parties and met the right young men. Of course, in the end it was Aunt Honurat who saw to the clothes and Aunt Bertrut who knew which were the right parties. And all of them together couldn’t quite agree on just who were the right young men, so they invited everyone of sufficient birth, along with their sisters and mothers. Laurint was a “right young man” by anyone’s standards, with a pleasing face and manner and expectations of a very comfortable income. He was also as good as engaged to Mari Faikrimek with the announcement delayed only due to her grandmother’s recent death. In her opinion, this made him an ideal dance partner, for he was charming and entertaining—and a fair enough dancer—but there was no worry that he’d mistake her enjoyment for encouragement. The truth was that while the making of a good match was the acknowledged purpose of her season, it was a goal hard to envision. One season as part of society’s parade of eligible young women. Not as young as most—that had been part of the bargain as well. Her cousin Sofi would come out in a few years at seventeen and have her dancing seasons before being expected to settle down to the serious business of match-making. But she herself only had that narrow span between too young to marry and on the shelf. One season done right and properly. A second, if needed, with fewer new gowns and no grand ball. After that—after she had come of age and her bloom was considered to be fading—a last chance at the balls and parties, escorting Sofi on her own rounds. Uncle Mauriz might then look for some minor business alliance he could use her to cement. And if no match were forthcoming still, she could look forward to taking her own turn as governess to little cousin Iulien and companion to Aunt Bertrut and so on, stretching out down the years. Aunt Bertrut had argued for a dancing season. Her two guardians had butted heads over that as over so many things. Bertrut Sovitre might be her father’s sister, but Mauriz Fulpi claimed authority as her closest male relative, her mother’s brother. Bertrut had taken her part countless times, often it seemed as much out of contrariness as sympathy. But Uncle Mauriz held the purse strings. The gowns and parties were at his expense. Her own resources were to be hoarded for her dowry. And Margerit knew, though she had never been told in as many words, that Bertrut lived as comfortably as she did because the shared guardianship gave her an excuse to live in the Fulpi household. Her own funds would never have stretched to bringing out a debutante. In any event, she hadn’t wanted a dancing season. She’d been immersed in her studies: drinking in every scrap of the classics that Sister Petrunel could pour out for her, wheedling books to borrow from her uncle’s friends or from her cousin Nikule when he came home from the university. Coming out had spelled the end of all that. But tonight there were more immediate matters on her mind. There were names and relationships to remember, new faces to place. She must remember the movements of dances she’d only previously practiced at family parties. Aunt Honurat had drilled her in the need to keep moving, to speak to everyone and linger with no one. Each time she was presented with a new partner she sighed silently in relief. The music ended. Laurint bowed and she curtsied and then that refuge was gone for now. Her uncle stepped into the gap just as Aunt Bertrut was descending on her with another grande dame to be charmed. As far back as Margerit could remember, the coming of spring was marked, not only by the snowdrops and daffodils giving way to more robust blooms, but by the town gossip over which of the great lords would take up residence in Chalanz for the summer. The city’s season ended when Rotenek lay stifling in the heat, bringing the risk of fever and the sureness of tedium but in Chalanz the season was only just beginning. The only one of the great lords who held any interest for her was Baron Saveze who, for reasons of very distant kinship and hope of patronage, had been named her godfather. His attention to her spiritual development had been nonexistent and for the most part he seemed to forget about her entirely. But in those seasons when he took residence in Chalanz there were presents and trinkets and the hope of being given glimpses of his larger world. At certain key turns of her life he had been appealed to for some more substantial support. But of the man himself she really knew very little. That he had deigned to attend her ball was promising. That he was in town at all was startling. The social calendar in Rotenek ran past Eastertide and that was quite some time away. Margerit was shocked to hear someone speak so dismissively to her uncle and she felt him tense with irritation but he merely bowed wordlessly, turned and left. Even if he weren’t so high above her own birth, she wouldn’t have expected the same full gallantry shown by the young men upstairs, with their near-kisses and deep bows. But she was surprised that he made no move to rise in greeting. She raised her eyes as he released her hand and only then did she notice the second elegantly-dressed person standing nearby. She stepped forward into another, smaller curtsy and raised her hand once more, saying, “I’m sure we’ve been introduced earlier but I’m being so stupid with names tonight—there are so many new people.” Her words trailed off as the figure remained motionless except for a quick darting glance toward the baron. “Oh,” she said, feeling her cheeks redden in confusion. Her mind raced through her aunt’s teachings. What was the social place of that most elite rank of armin? Here in Chalanz such a thing was unheard of except among the visiting nobility. Most armins were mere hirelings but she had heard that in the capitol the young cousins of great men might serve as duelist for a time. And then she exclaimed, “Oh!” again when she saw the second mistake she’d made. What she’d taken for cropped curls were only unruly wisps of tawny hair that had escaped from their pins. This was no youth but a woman, the satin breeches displaying her trim figure to immodest advantage. Margerit expected to see mockery of her error in the woman’s gaze but those pale blue eyes rested on her with no reaction. “Exile? Oh, you’re teasing me,” she said hesitantly. “But I’m sure it wasn’t…” Margerit began. “That is…” There was nothing to say that wouldn’t sound like reproach, but it seemed monstrously unfair to her that the duelist should be blamed for doing her job well. “Then you didn’t…that is…I thought you sent her because you meant me to be a scholar.” She couldn’t keep the disappointment out of her voice. Margerit floundered in confusion but was saved from making a stammering reply by Barbara’s return. She offered a tray with two glasses to the baron first. He waved it over to her before taking his own glass. He swirled the very small amount of the liquid around in the glass and frowned up at his armin but said nothing. Having delivered this not-quite-a-question, she took her place once more, two steps to the baron’s side, staring at nothing and watching everything. Margerit’s head was spinning but she seemed required to do no more than smile and bob yet another curtsy as she left the room. Uncle Mauriz was, indeed, waiting just at the other side of the doors. He questioned her mercilessly as he escorted her back up to the ballroom: What had the baron said? What had he wanted? Why had he come to Chalanz so early? What had he offered? Would he use his influence to see her well launched in society? “We talked about…I don’t know. Unimportant things.” She weathered his scorn, knowing answers would only lead to more pointed questions. When she thought on it, the conversation had been very odd. Her uncle would pick it to pieces, looking for meaning, for usefulness. Instead he berated her for her unworldliness. What was the point in having ties to such an important man if you didn’t make proper use of him? But the avowed purpose of the night was dancing and so when they reached the crowded hall she could escape him by doing her duty. It felt more and more like a duty as the night wore on. Did other women really enjoy this? The endless stream of insincere pleasantries, the touch of hands in the dance figures—all either clammy and sweating or hot and lingering. She kept trying to imagine marriage to any of the young men presented as eligible and felt nothing but a faint panic. And Aunt Bertrut was determined that the ball be a success, so there was no release until dawn began lightening the sky.